Zagora desert tour: We offer 2-day Sahara desert express trip from Marrakech, for people who don’t have enough time to visit the far desert. 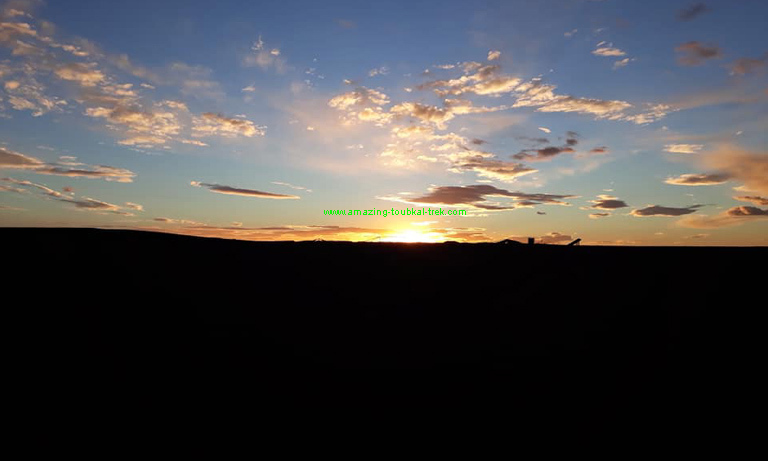 The tour includes camel ride, overnight in Berber tents under stars and Ait Benhaddou visit. It will also allow you to experience the breathtaking views of southern Morocco through Marrakech to Zagora desert and Draa valley. Experience camel ride, watch the sunset and sunrise over the dunes of Zagora desert. Discover the magical Draa valley and spend the night under the starry skies in a nomadic tent. Early in the morning, we pick you up from your hotel for a drive through the Atlas Mountains to Tichka Pass. This spot offers panoramic views of the breathtaking scenery. We visit the attractive and ancient Kasbah Ait Benhaddou, which is the UNESCO World Heritage Site. After the visit, we continue to Ouarzazate (the gateway to the desert). We have lunch in the city then drive towards Zagora through Draa valley. 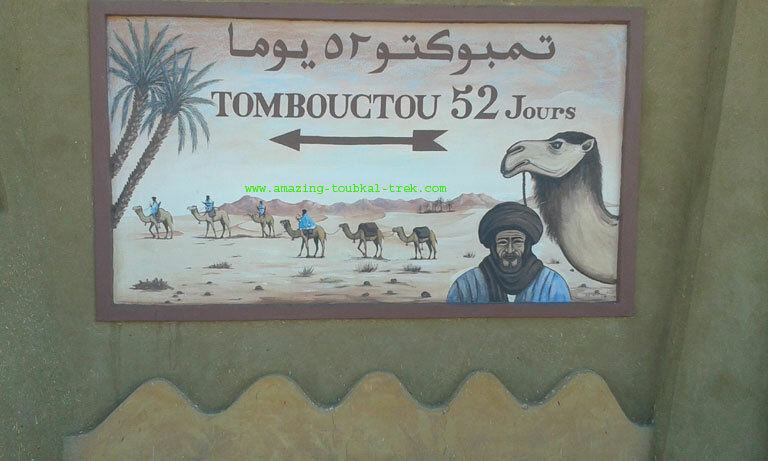 We arrive in Zagora town where you will ride camels into the dunes. Overnight in a Berber tent under the starry skies. The journey is a 380 km road drive. We wake up in the morning, to enjoy the sunrise before breakfast. Riding on camels back to the Auberge in Zagora. We drive back to Marrakech through Tichka pass. We arrive in Marrakech in the afternoon, overnight in a hotel. 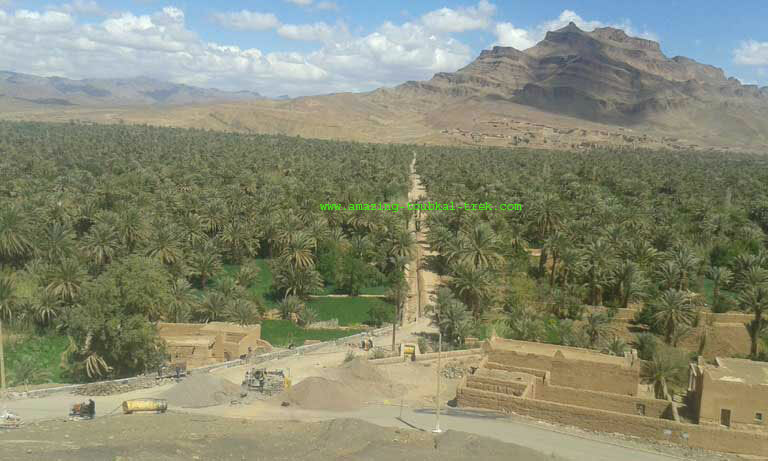 – This Zagora desert tour is available and can be arranged for groups of all sizes. 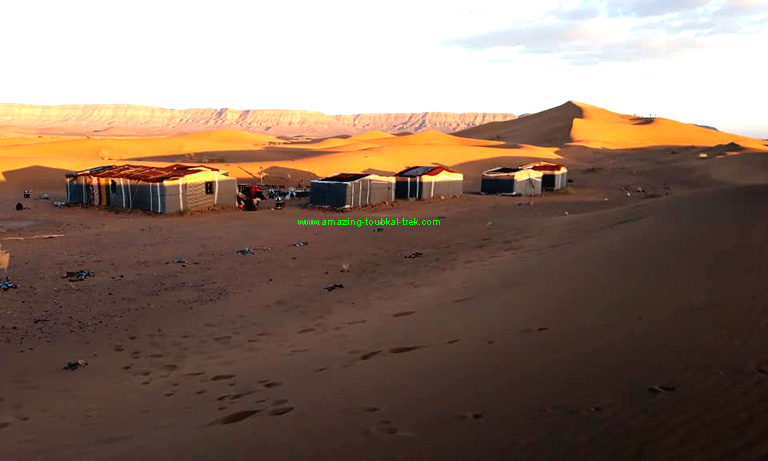 Zagora desert tour: Overnight Sahara desert tour from Marrakech with Ait Benhaddou Ksar visit. Marrakech 2-day Sahara desert express tour.